Two flutes. An accordion. Percussion. A few guitars. A banjo. One hot clarinet. Our home-grown Shabbat Neginah Band brings a taste of Klezmer and a joyful sound to welcome in Shabbat. Come add your voice and enjoy the warmth of Shabbat evening services this summer. 6:00 - 7:00 p.m., Kabbalat Shabbat every Friday. With extra instruments on the 2nd Shabbat of the month, Shabbat Neginah, August 9th. Thanks to the many responses we received to our notice in the last edition of Life at Holy Blossom, we know our Congregation is very interested in participating in the upcoming series of face-to-face meetings regarding the physical renewal of our Temple. We are now in the process of setting the date for these meetings and will send out invitations early next week to each member who has indicated an interest in participating. We will also have two meetings at Temple to which the entire Congregation is welcome, to consider the same topics. Once these meetings are complete we will commence our next series of opportunities for congregational input, this time with each of the individual communities active in our Temple. We want to know the vision of each of our Temple groups - from Sisterhood to Choir to Out of the Cold and many many more – regarding how the building can best be designed to strengthen and support the group’s activities now and for the generations to come. You will all be hearing from us soon. Please join in this conversation. Each voice will help shape the look and feel of our renewed home, its spaces and its activities. And don't forget you can also comment online by clicking here or by leaving a written comment in our suggestion box in the Ava Road foyer. Many thanks to everyone who has already commented, publicly or privately. We would like to take this opportunity to announce that Hayley McAdam will now be responsible for all Bar/Bat Mitzvah co-ordination. If you have any questions regarding Bar/Bat Mitzvah, please contact Hayley at 416-789-3291 ext. 246 or by email at hmcadam@holyblossom.org. Six years ago I had a conversation with Rabbi Splansky, which continues to enrich my life to today. An invitation to bring music for a Friday night Rabbi’s tisch, has grown into a monthly service which now boasts a dedicated ensemble of six award winning World and Indie music artists, a specially developed repertoire of songs for prayer and, most importantly, a unique community of participants of all ages and diverse backgrounds who gather together to bring in Shabbat. 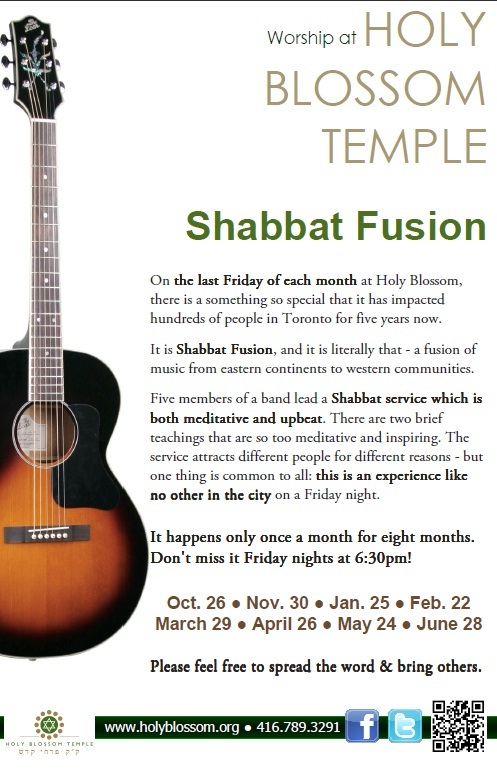 What is Shabbat Fusion? 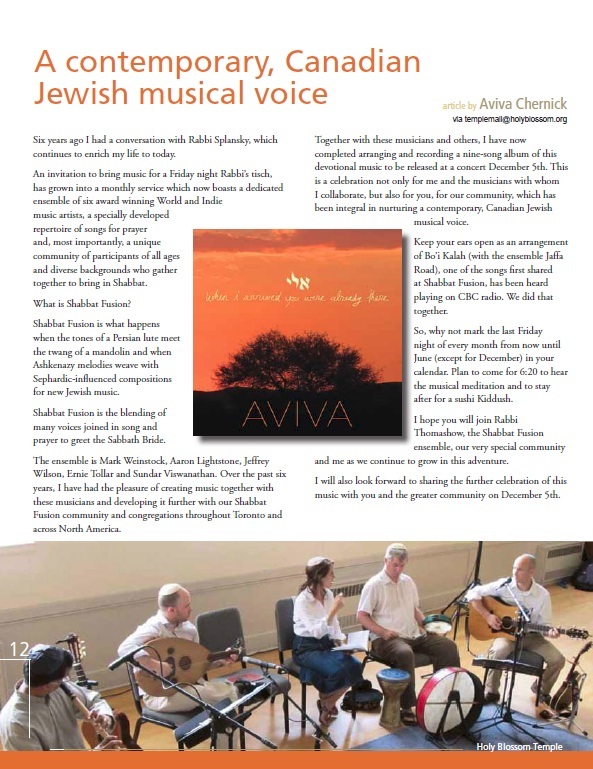 Shabbat Fusion is what happens when the tones of a Persian lute meet the twang of a mandolin and when Ashkenazy melodies weave with Sephardic-influenced compositions for new Jewish music. Join us each Monday at 10 a.m. (program begins at 10:30) and stay for exercise, now in two groups to meet your needs, lunch with our delicious soup and games – Mah Jong, scrabble, bridge, etc. A fun way to start the week. Please contact Elana in the Temple office, 416-789-3291. The Temple offers taxi transportation to this program for those who are not eligible to use wheel trans and have no other way of coming. For more information about this service or to arrange a ride, contact Elana in the Temple office, 416-789-3291, ext. 221. The cost to attend this program is $3/session for Temple members and $5/session for non-Temple members. Come and get in the mood for Shabbat with music, movement and more! Two programs for children under 13 months of age, and between 1-3 years old accompanied by their parents or grandparents. Please join Mark Weinstock for singing, dancing and storytelling. And each week, participants receive a challah. Our heartfelt thanks to thank Mark Weinstock for all the Shabbat joy he has brought each week to so many children and their families. The Temple wishes Mark and his family all the best in Ottawa and every success as he continues his medical training. New session at the regular times, 9:00 a.m.; 10:00 a.m.; 11:00 a.m.; and 12:00 p.m.
Friday, October 4th to Friday December 20th inclusive. 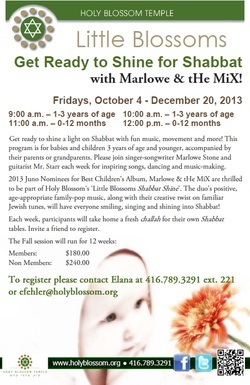 Please join us in the Fall as we shine some new light on Shabbat with “Marlowe & the MiX along with Mr. Starr each Friday. Shabbat N'ginah: We've Got Talent! Young children, 6 and under, (their parents, siblings, grandparents and anyone they know who could benefit from this service) are invited to enjoy our children friendly Shabbat Service. This service consists of, stories, songs music all Shabbat related. Please join us on the first Friday of every month beginning at 6:00 pm in the Philip Smith Foyer when we have our Shabbat Service and Semi-pot luck dinner following. Everyone welcome. For more details or to RSVP for our dinner evenings, please call Elana Fehler, 416-789-3291 (ext. 221), at the Temple or voice mail #532. Enjoy the best of Yiddish literature, read and translated with commentary. We are currently reading Di Agunah by Chaim Grade. 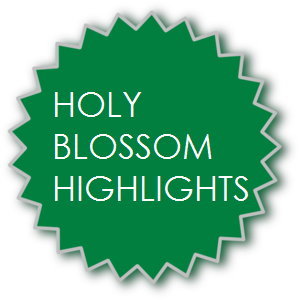 The Holy Blossom Congregational Appeal is off to a good start! With so many good things happening at Temple - the building project moving forward, the Rabbinical search process progressing, changes at Religious School - our members are showing their support. We are already ahead of where we were this time last year with almost $200,000 raised! Many members have even increased their level of giving, and some have contributed at our new top level of $10,000. Contributions to the HBCA are essential to ensuring we can deliver the wonderful programming we all enjoy at Temple, while welcoming members who are not able to pay full dues. This year, we are aiming for $600,000 raised with all members contributing whatever they can. If you have not yet made your donation, please do so by contacting Cindy Zimmer at czimmer@holyblosom.org or at 416-789-3291 ext. 229. Thank you all for supporting our community. Gladys Fogler and Vanessa Yakobson, HBCA co-chairs. It is hard to believe that the long anticipated dream of celebrating Israel’s 65th birthday is over so. Israel and the Arts Through the Eyes of a Sabra (that’s me) was an incredible experience for all participants. You can read the reflections for yourself and the deep impact the mission had on all participants. I am proud of my troopers who went along with every aspect of my initiative, mainly to show, experience, learn and live with the people of Israel at the heights of national moments in the lives of its citizens. Highlights of the trip were the national ceremonies of Yom Hashoa in Kibbutz Lochamey Hagetaot (the Ghetto fighters). The dress rehearsal for Yom Ha’atzmaut at Har Herzel in the midst of 35,000 guests. The ceremony for the 23,085 fallen soldiers and victims of terrorism at the Western Wall on Yom Hazikaron evening and at the Armored Corps’ Memorial Site at Latrun on Yom Hazikaron during the day. Street celebrations, mingling with thousands of Israelis on Yom Ha’atzmaut and so many more monumental experiences. Enjoy the few photos below and get a glimpse into the joy of experiencing Israel. To read more "Story Accounts from Israel", please click here. By Alan and Phyllis Wintraub. 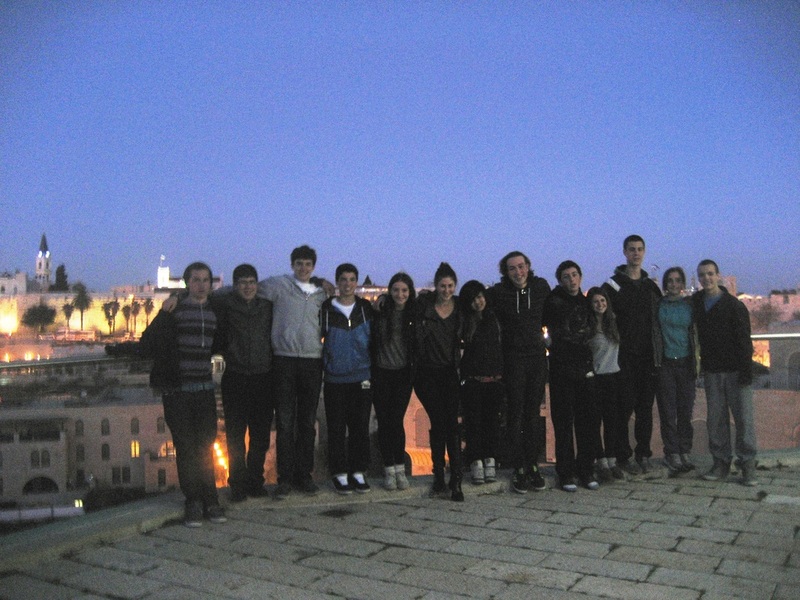 We have recently returned from the Maissner’s tour to Israel. I was fortunately also a participant in their tour 5 year’s ago. What makes their tours so different than any other? First, and probably most important, is the time it takes place. To be in Israel over the period from Yom Ha’shoah, Yom Ha Zikaron and then Yom Ha’atz’ma-ut is a unique experience for those of us in the Diaspora. It is perhaps the only time one can truly feel like an Israeli. During those two weeks, our fantastic group, our leaders and guide experienced together the complete range of emotions—from sorrow to ecstatic celebration along with the Israeli people. We cried with them, sang, danced and laughed with them—sometimes all in one day, hour even minutes. At the end of Yom Hazikaron, we attended services at the Great Synagogue of Jerusalem. We heard the mournful prayers of their wonderful Cantor, Chaim Adler and his choir. We shared the memory of the lives lost in too many wars in a 65-year span. sight of many soldiers (realistically boys and girls), men and women, dancing and singing madly (and separately, of course). In vigorous horas, waving Israeli flags, the celebration of the beginning of the joyous anniversary of Israel’s founding began. Nearby, Beny, Cantor Adler and other men were also dancing, and many of us shared Beny’s happy/sad tears at this special moment. So in less than five minutes we went from the depths of sadness to the heights of happiness—a feeling we experienced many times in our jam-packed two weeks. If you want to really experience Israel, go on Beny and Hope’s next congregational trip there. You will never forget it. Set in Jamaica during the island's slave rebellion of 1832, eight years old July, is taken as a house slave. The narrative encompasses scenes of shocking brutality and mass carnage, but also humour, sometimes verging on farce. The venomous racism of the white characters emerges while equally relating the degrees of social snobbery around skin color among the blacks themselves. 'Living with Dementia' at Holy Blossom Temple is a unique 10 week learning and support program for families with a loved one experiencing dementia. “The program is essential, it is absolutely essential, for anyone who is living with a person who has started into that - I call it the slide downwards in dementia - because you are living with someone who you have been married to for 40 or more years, and the person is changing in front of you..."
Listen to the interview below with a recent participant from the Living with Dementia program. For more information about the 'Living with Dementia' program at Holy Blossom Temple, please visit www.holyblossom.org/livingwithdementia. ‘LIVING WITH DEMENTIA’ at Holy Blossom Temple is a unique 10 week learning and support program for families with a loved one experiencing dementia. Open to members and non-members. Next Program: April 11- June 13, 2013. Register Now. Space is limited. Join us once a month after Shabbat Kiddush as we gather to learn the weekly Torah portion using the WRJ’s, The Torah, A Women’s Commentary. The Transition Process entails four elements: Coming Together; Looking Forward; Search; and Integration of the new rabbinic leader. 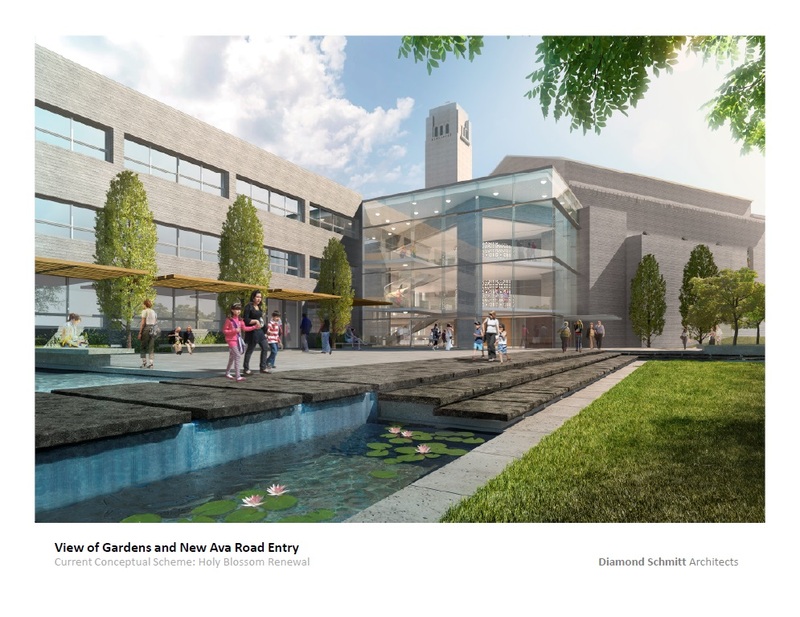 We encourage you to click the link below and learn more about who is involved, what has already been accomplished and most importantly to ask your questions, leave your comments and provide feedback. My family history is deeply rooted in our synagogue. Ours is a four-generation Temple family. My Mother, Alice Suroff Herman, attended Holy Blossom's religious school on Bond Street and was confirmed in 1927. In her Confirmation picture, she is seated on the left beside Rabbi Isserman, who served as Rabbi from 1925-29. I was consecrated, confirmed and married at Holy Blossom — and several years ago, served as the founding chair of the Temple Foundation. My children and grandchildren call Holy Blossom Temple their spiritual home. Last spring, I, like many Temple members, felt deeply saddened by the upheaval that resulted in the early retirement of my friend, Rabbi John Moscowitz. Though gravely upset, there was a desire not to abandon ship. As with other disappointments in my life, my nature is to grieve and then move forward — with cautious optimism and hope. I believe that the newly-elected men and women on the Board, who are volunteering their time, are doing so with a full heart and with the best interest of the congregation in their minds. I felt heartened to learn about the Transition Process and agreed, readily, when invited to chair the "Coming Together" committee. I know that the leaders and members of each of the committees will proceed with caution, thoughtfulness and sensitivity to help heal our membership as we commence the search for a Senior Rabbi. 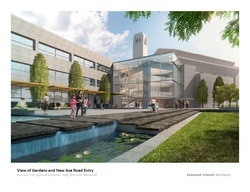 In moving forward we all have as our goal, a synagogue that will serve its members and our greater community with our usual standard of spiritual, educational and cultural excellence. Herzl was a well known journalist and playwright and an assimilated, Budapest born Jew. He was horrified by the Dreyfus trial in Paris and the anti-semitism he saw spreading across Europe, took upon himself the task of attempting to create a Jewish homeland in Palestine against all odds. Over the span of 8 years, Herzl organized and led a worldwide political movement that within 50 years led to the establishment of the state of Israel. Guitar? Clarinet? Percussion? The Triangle? Cantor Maissner is in search of teen and adult musical talent to help lead our monthly Shabbat N'ginah. On the second Friday of each month we will greet Shabbat and one another with the joyful sounds of prayer and nigun (melody without words). If you love to play, please share your talent with us. Contact Cantor Maissner (ext. 251 or bmaissner@holyblossom.org). Wine, appetizers, and study on: The most compelling sections of the Bible—those “must know” stories of and experiences from our tradition. Bring a friend or come on your own. Open to the young professional community. 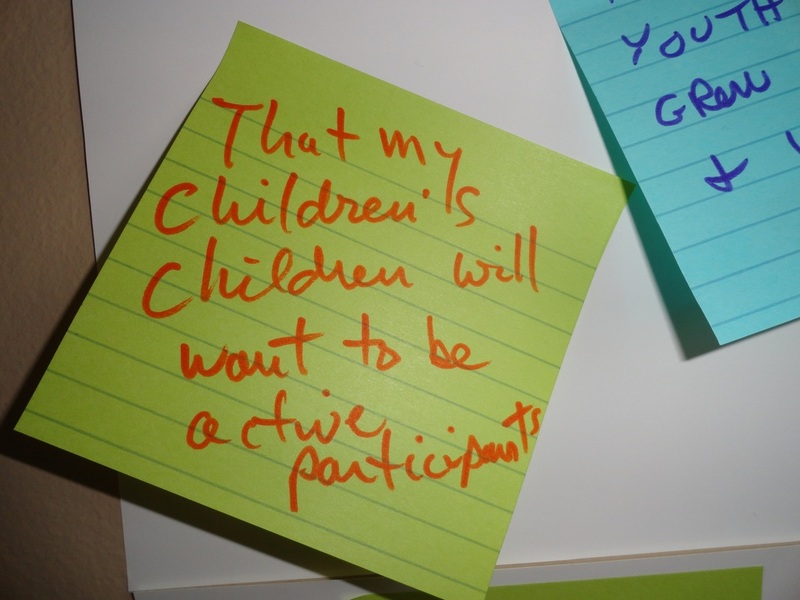 Please join our conversation… to share your thoughts, ideas, dreams about engaging you(th). Sunday March 3 @ 10 a.m.
An open conversation for all Temple members. Our goal is to hear from everyone who has thoughts about how to engage youth in Jewish life at Holy Blossom - parents, teachers, youth, grandparents and all other congregants. Please join the Conversation – we’re listening. Share your thoughts on our Listening Wall located in the Ava Road foyer, at any time. With deep appreciation of a generous sponsor of the Campaign and our community: the Nadler Family of Aroma Forest Hill Village. Monday February 25, 5:00 - 9:00 p.m. Discuss what you can do to give special meaning to an existing or new tallit. 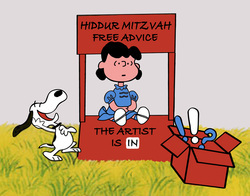 If you would like to arrange a discussion at another time, email artist@holyblossom.org. Also, for those who have purchased one of the collar or corner kits from the Sisterhood Judaica Shop, and are new to cross-stitch embroidery, come for coaching and a good start on your project. See the full range of kits in the "boutique" section of www.temmagentles.com. you, telling you about the exciting events coming up, and hearing your ideas for artist-in-residence programming. This special program will bring parents and students together to learn more about the learning lab entitled, History and Traditions of Judaism. This visit will be followed by a tour Dr. Fred Weinberg and Joy Cherry Weinberg Judaica Collection. The program will be led by our own member, Geri Durbin who is also a ROM educator! 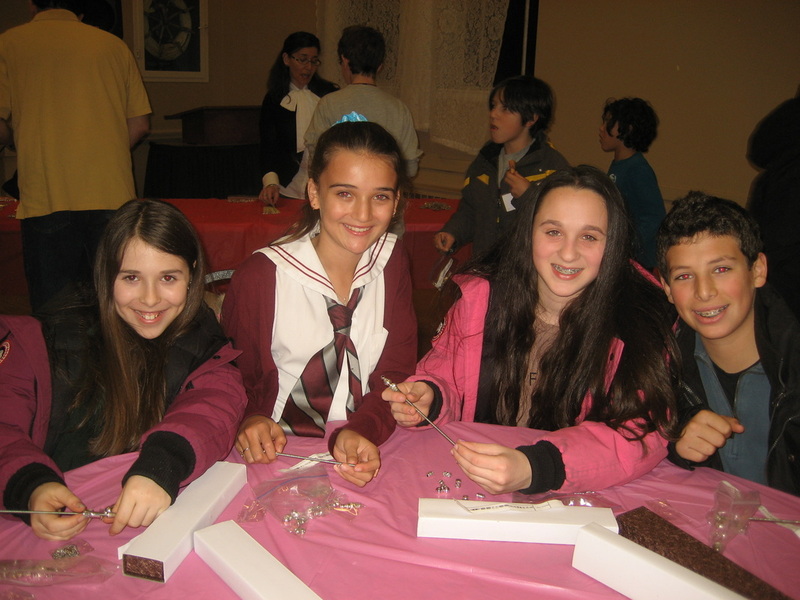 Gal Baruch and Gefen Chazen, our new Shinshinim have already brought their talents to our Temple community. Our students have met with them and learned so much already. 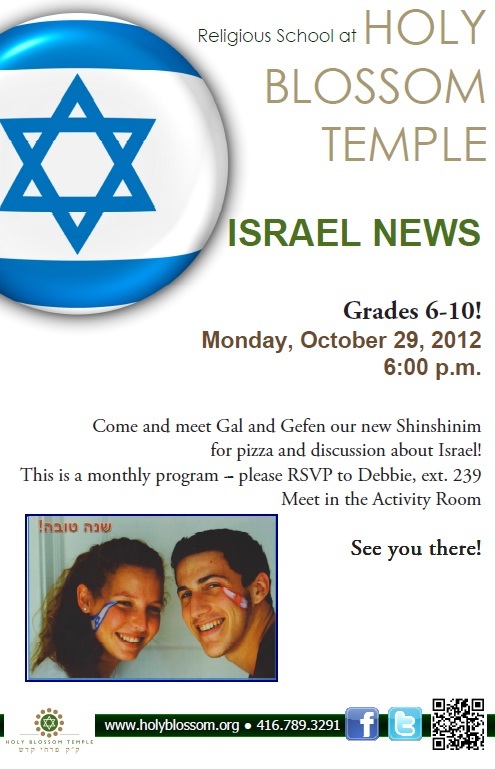 Please join them for this informal dinner/snack a they bring the “real Israel” to our community. Discussion topics range from politics, to culture to day to day life. They will cover it all! 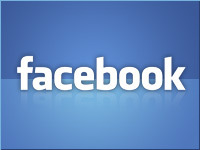 Three pages on Facebook delivering daily information!